Aamir, Katrina, Fatima and Amitabh in the brand new poster of the film Thugs of Hindostan. Aamir Khan and Amitabh Bachchan will be coming together on screen for the first time in Vijay Krishna Acharya's Thugs of Hindostan, a film slated to release on November 8. 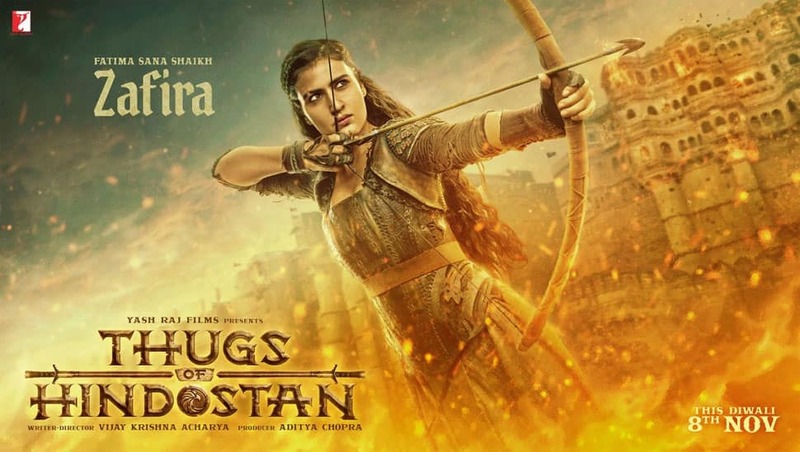 The film which also stars Katrina Kaif and Fatima Sana Khan is a fantasy adventure film. So far, the makers have introduced 4 pivotal characters in the film. We have never seen Aamir in a costume drama before and it will be interesting to how Mr.Perfectionist has transformed for this magnum opus. In pic: Aamir, Katrina, Fatima and Amitabh in the brand new poster of the film Thugs of Hindostan. Aamir Khan as Firangi Mallah in Thugs of Hindostan. 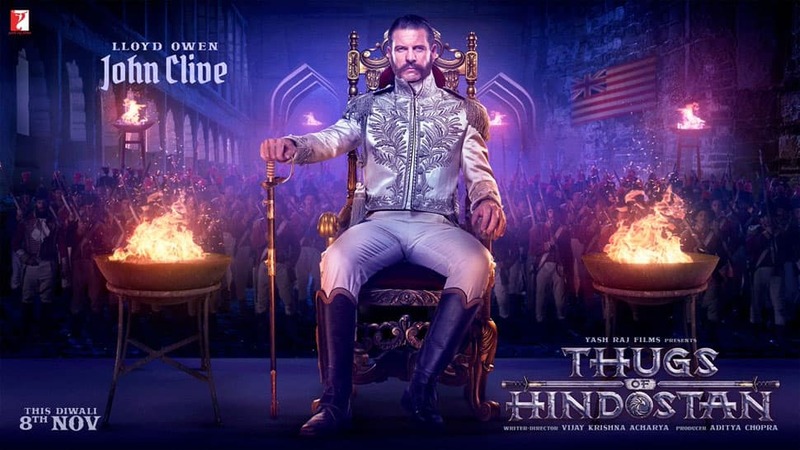 Reportedly set in the backdrop of India under the British rule in the 19th century, Thugs of Hindostan is inspired by Philip Meadows Taylor's 1839 novel Confessions of a Thug. It revolves around the life of a thug and his gang who challenge the British Empire in the country. 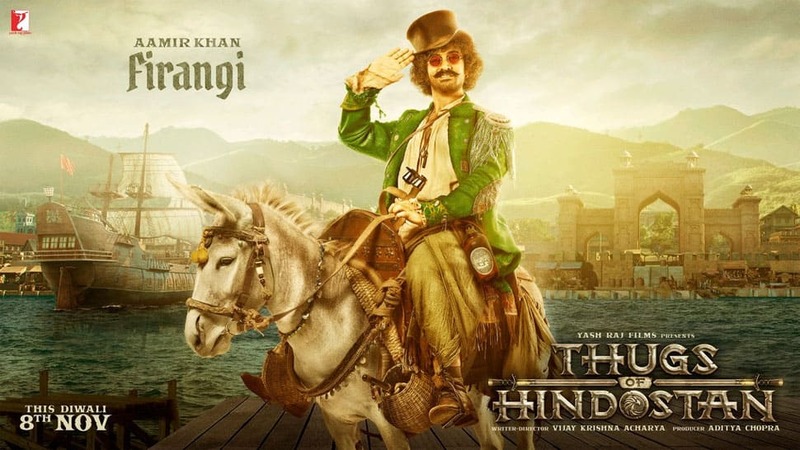 In pic: Aamir Khan as Firangi Mallah. English actor Lloyd Owen as John Clive in Thugs of Hindostan. In pic: English actor Lloyd Owen plays John Clive a British in the film. Katrina Kaif sets the temperature soaring as Suraiyya in Thugs of Hindostan. In pic: Katrina Kaif as Suraiyya. Fatima Sana Shaikh looks captivating as Zafira in Thugs of Hindostan. The film directed by Vijay Krishna Acharya was initially slated for release on November 7 but Aamir reportedly pushed it by a day. In pic: Fatima Sana Shaikh as Zafira. 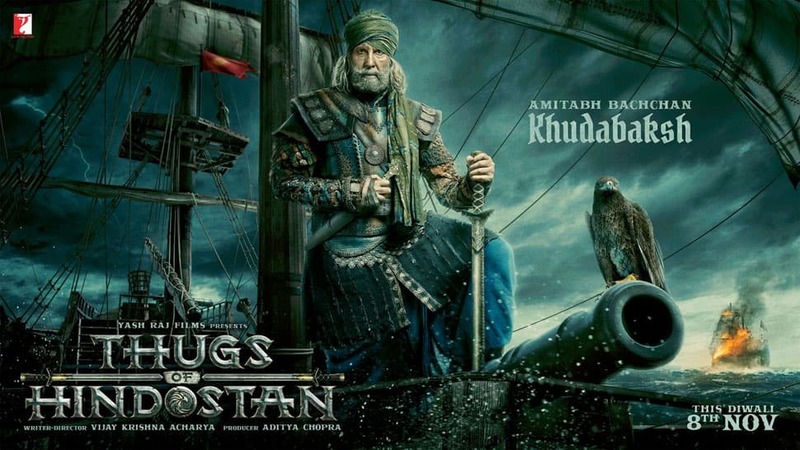 Amitabh Bachchan looks intriguing as Khudabaksh in Thugs of Hindostan. The film is slarted to release on Diwali, November 8. In pic: Amitabh Bachchan as Khudabaksh.